While sitting in our backyard on a slow summer evening, my husband and I chatted with friends about the home they were planning to purchase. Their description of the new abode seemed picture perfect! Along with plans for painting and decorating, they were looking to add living space outside and were unsure what to choose: a porch? a deck? a patio? This made me wonder…which amenity would be the best investment for a military homeowner? What are the differences? When considering a large home improvement project such as adding outdoor living space, it's helpful to consider all the factors ahead of time. Fumbling for the house key on a rainy night is a bit more comfortable if you're standing under a covered area at the door with an overhanging porch. Or a porch may be an enclosed space added on to a home with screens or windows to keep out insects and welcome cheerful sunlight. Often extending out from the living room or kitchen, a deck is an open space perfect for outdoor dining and entertaining. Typically edged by a railing, a raised deck may offer serene views of the surrounding landscape. While a deck may be constructed of wood or composite, a patio is often a concrete slab poured on a flat terrain near the home. Pavers, tiles, or cobblestones could also be laid as a patio, creating an outdoor extension of living space. If you plan to invest in a porch, deck, or patio as a military homeowner, you’ll want to consider what may appeal to a potential buyer if you plan to list the property when you PCS. Adding a porch to your home may add delightful curb appeal, but it also may be an expensive investment if you only plan to keep the house for a few years. However, if you add on a sturdy constructed deck to your home or create a well-designed patio in the yard, either of those options may affordably meet your needs for additional living space and may be just what a potential buyer is looking for. When making the decision to either install a deck or to build a patio, consider these five points. 1. What fits your budget? Materials: Wood, composite, concrete, or paving stones will all vary in price. Location: The outdoor space will need to fall in line with the overall layout of the home, extending out from an existing doorway or expanding onto a level parcel of the yard. Size: The amount of space needed for outdoor living will factor into your expense. Consider how much square footage you’ll need for items such as a grill, a table and comfortable seating, a fire pit, or a children’s play area. Contacting professionals: You’ll be building an investment in your property, not only for your enjoyment but also for potential resale. Adjust your budget to cover hiring professionals to ensure every detail falls into place. An architect or landscape designer may offer ideas for the best use of your proposed outdoor space, and a reputable contractor can help create an outdoor space that best fits your needs. 2. What is the return on your investment (ROI)? According to figures tallied by the National Association of Realtors, the average return on investment for adding a new deck is around 75% and adding a new patio is in the 30-60% range. Let’s say building a good-sized wood deck costs around $9,327. Resale value is estimated at $7,213, which is around 77.3% recouped. If you’re putting in a patio for around $3,000, the return may be around $1,500 at resale. Essentially, you should be in good shape if adding a deck or patio. An appealing outdoor living space may be just what sets your home apart from others when it’s time to put your house on the market. 3. What would you like to do with your outdoor space? Consider how you plan to use it. Do you hope to sip your morning coffee perched near leafy trees? 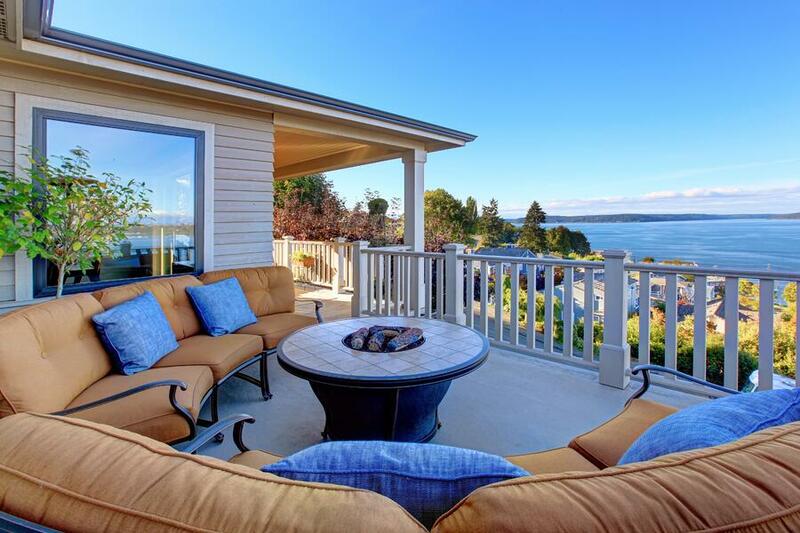 Then a view from a raised deck may be your preference. Are you hoping to lounge near a bed of beautifully blooming flowers? Then a patio space may be what you’re looking for. Both a deck and a patio offer an area to gather with family and friends and offer an opportunity to enjoy the warm sunshine, savor the colorful sunsets, or dream along with the stars in the night sky. 4. Are there any building restrictions? When you decide how you’d like to enjoy your outdoor space, keep in mind what you’re allowed to do with your property. 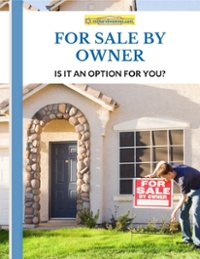 Research the local codes of the area and any guidelines set up by your homeowners association. Playing by the rules with approved materials and following any size or design limitations will work in your favor. 5. What kind of upkeep will it require? Having a well-kept outdoor space will truly showcase its potential. Sweep away any leaves, clean up spills, and consider a power wash once a year to tidy any residual debris. The railings and planks of a wood deck will need sealing, staining, and sometimes replacement as the seasons pass. If maintaining a patio, cracks will need to be filled and sealed and rogue weeds removed. No matter if you choose a deck or a patio, you’ll soon be enjoying the comforts of home in a relaxing outdoor setting. By investing in quality construction, your outdoor space will add to the overall appeal of your property. This will benefit you both in the short term and later on, when up for sale!